Unload any plastic or fiber that is loaded into the printer. 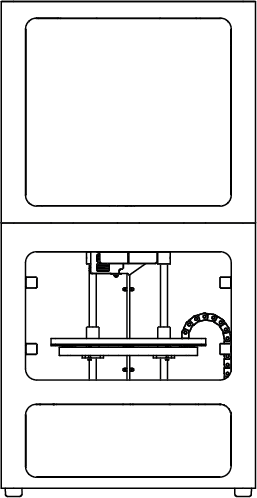 Rotate the printer so it is resting on it's top and there is easy access to the bottom plate. 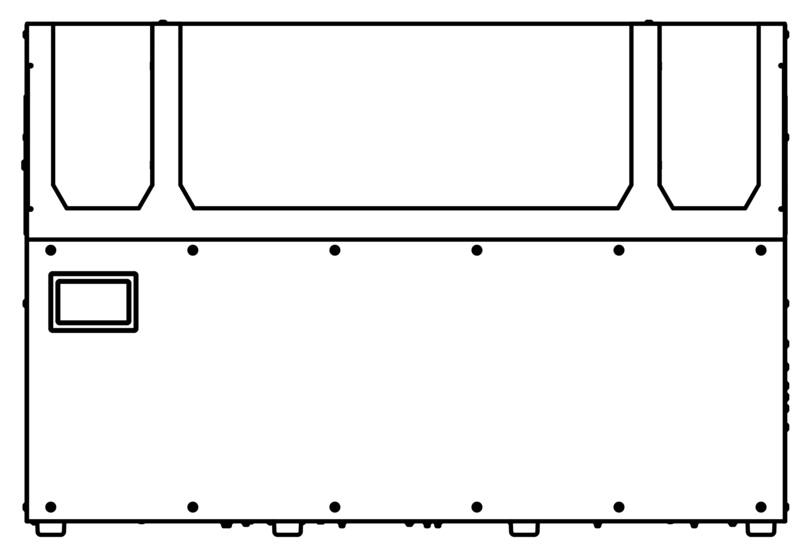 Use a 2mm allen wrench to remove the 12 screws from the bottom plate of the printer. 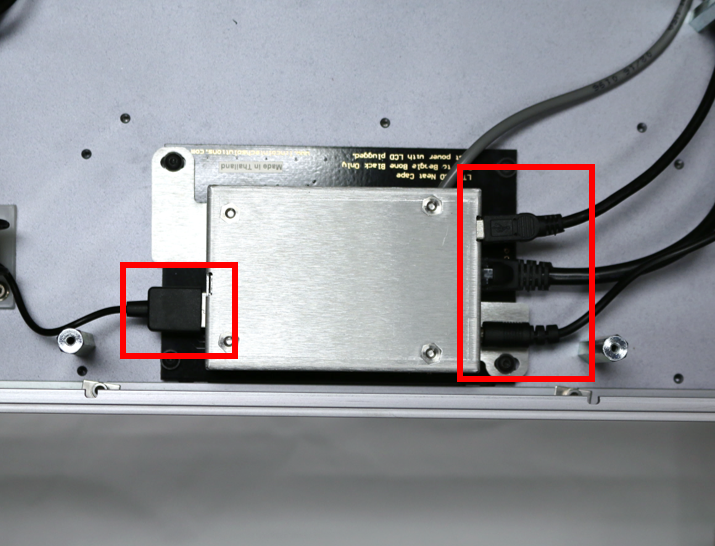 Unplug the four black cables from the sides of the BeagleBone. 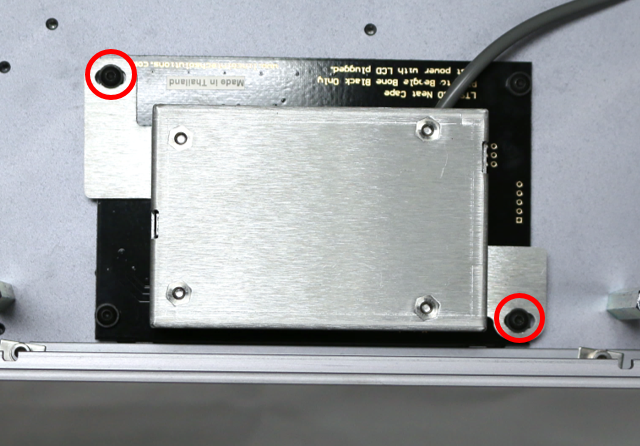 Use a 2mm allen wrench to remove the two black screws holding the BeagleBone cover to the touch screen assembly. Disconnect the white clip that attaches the three wire connection to the Victoria Board. 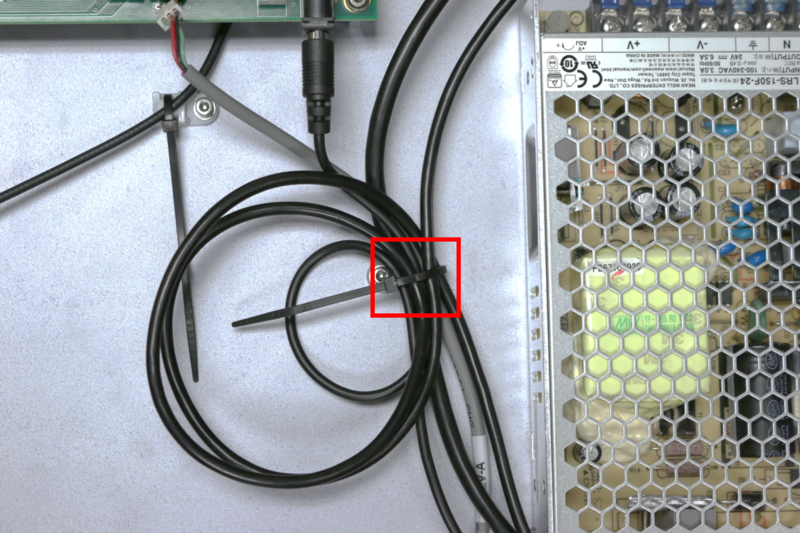 Cut the black zip tie that hold the wires that go between the Victoria Board and the BeagleBone. Pull the BeagleBone and aluminum cover straight off the touch screen assembly. 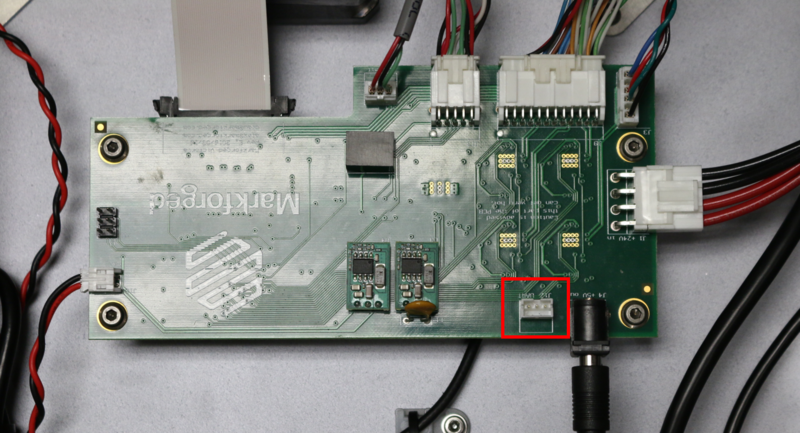 Use a 2mm to remove the four screws that attach the BeagleBone to the aluminum cover and separate the board from the cover. Attach the new BeagleBone to the aluminum cover with the four screws. Align the BeagleBone over the touch screen assembly and apply firm, even pressure to plug the BeagleBone back in. Re-attach the white clip that connects the 3-wire connection to the Victoria Board. 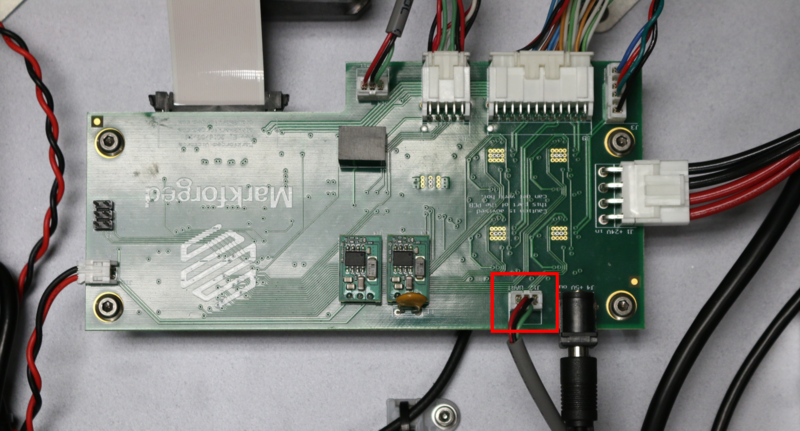 Use a small zip tie to keep wrap around the wires that run between the Victoria Board and the BeagleBone. 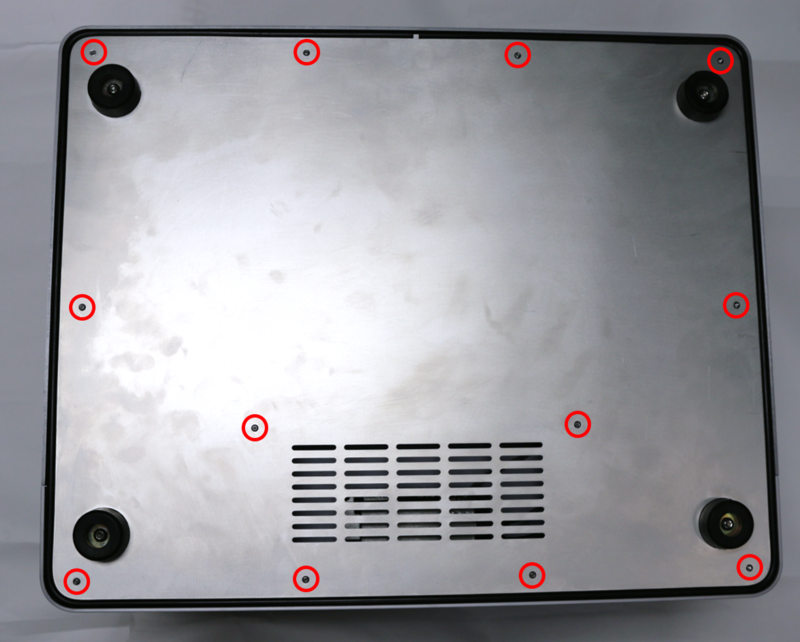 Use a 2mm allen wrench to install the two screws that attach the aluminum cover to the touch screen assembly. Plug the four black cables back into the BeagleBone. Put the bottom plate back on the printer and use a 2mm allen wrench to re-install the 12 screws. 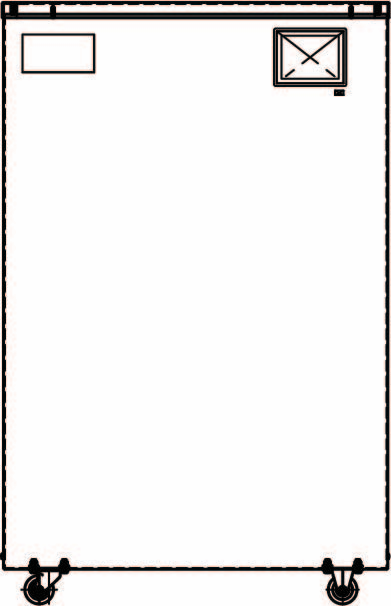 Flip the printer back over such that it is standing up normally. Power the printer on and update the firmware.